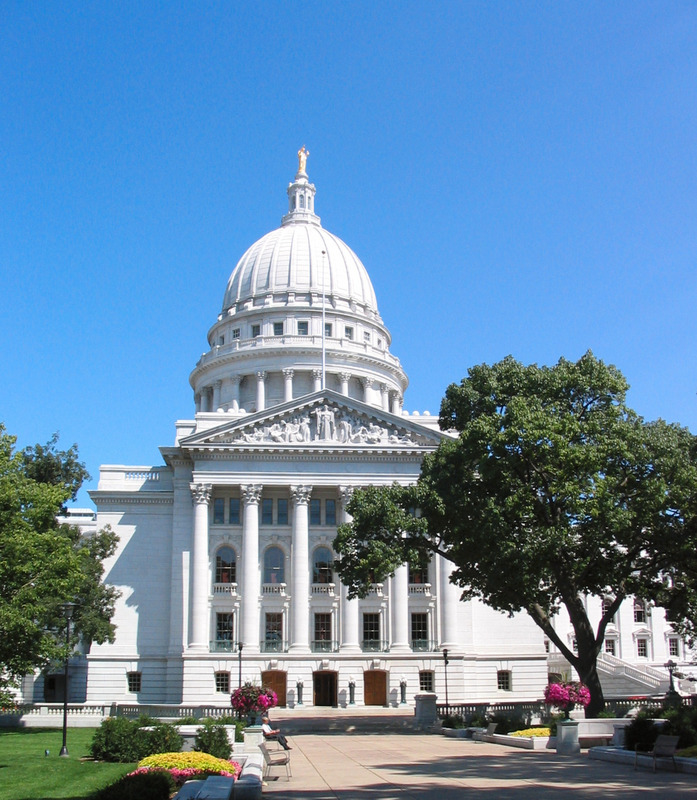 Thanks to its central location, Madison, named for former President James Madison, was named Wisconsin’s capital 10 years before the city was even incorporated and 12 years before Wisconsin officially became a state in 1848. Also fueling Madison’s growth, the University of Wisconsin was founded on a 50-acre site in the city in 1849. According to the U.S. Census Bureau’s 2014 estimates, Madison now has a population of 245,691, making it the second largest city in Wisconsin. The population is 76 percent white American, 7 percent African American, 7 percent Asian American, 7 percent Latino/Hispanic American, and 3 percent two or more races. 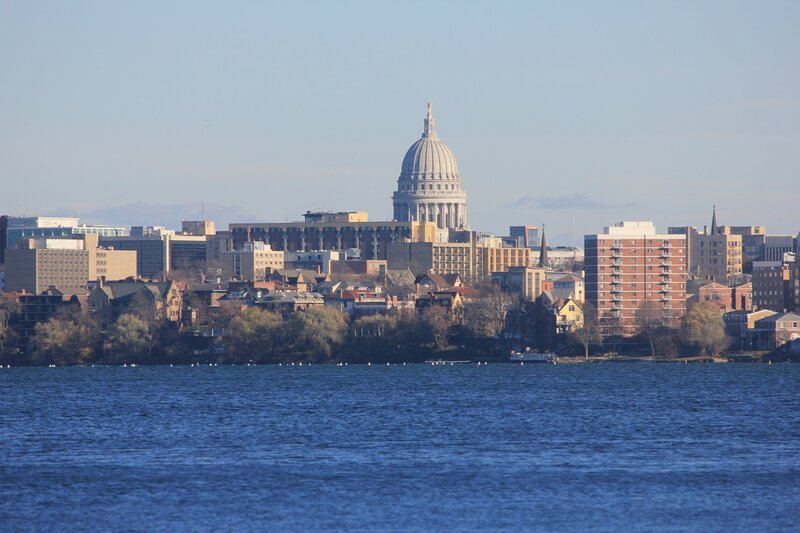 Home to the state government and the state’s flagship university, the University of Wisconsin-Madison (with more than 40,000 students), Madison has had a strong economic base, enabling it to maintain low unemployment rates and a stable economy. In fact, in the early 1990s, Madison experienced significant growth as successful high-tech companies, many the result of UW-Madison collaborating with local entrepreneurs, got off the ground. Madison is also unique among U.S. cities in that it has a relatively large number of cooperatives, which has been linked to the state’s extensive history of cooperative organizing. The city encompasses more than 80 such enterprises, including 14 worker-owned cooperatives employing more than 500 people. One of the earliest worker co-ops, Union Cab, was established in 1979 by a small group of drivers aiming to have safer working conditions and better compensation. Today, the company boasts gross annual revenues over $7 million, 230 members, and 65 cabs. Madison’s longtime, progressive mayor, Paul Soglin (the 51st, 54th, and 57th Mayor of the City, having been elected nine times to the position, most recently in 2015), has also been a champion of the city’s cooperative economy. Most notably, in 2014, the city resolved to spend $1 million a year from 2016 to 2020 on worker-owned business development—making it the largest allocation toward cooperative development by a U.S. municipality to date. Madison is also home to numerous nonprofits focused on building and strengthening the region’s local food system. For example, Community GroundWorks runs a range of programs from Troy Gardens, a 26-acre urban property that encompasses Madison’s first urban farm, including a CSA, a beginning farmer training program, a farm stand, and several entrepreneurial ventures.